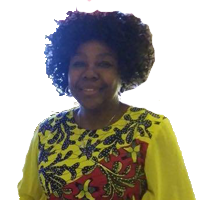 Ms. Frances Ndika | Institute for Peace and Leadership, Inc.
Frances Ndika is an ardent lover of safety, security, wellness and general well- being of all human being, nature, and the society as a whole. Her love for humanity particularly the vulnerable and under privileged of the society motivated her to pursue a career in community non-profit organization; a platform that will give her the opportunity to not only meet these people at their places but also be a part of the change agents helping to mobilize stakeholders, individual of like-minds, governments, non-governmental and governmental organizations to come together and map out plans and resources to help eliminate the social vices in our societies today such as poverty, sicknesses, environmental hazards, discrimination and abuse especially against women, girls, children and elders. As a professional social worker with a concentration on community organizations, Frances has a well of experience in mapping out communities for available resources and man power that can help solve some of the social issues within that community. She believes that when the smaller units are taken care of by each community and made whole, the larger unit will automatically be made whole. In addition, her career spans to non-profits consultancy; rendering services to new non-profit organizations that will help them to grow and expand, build and maintain their boards and increase the membership, and also help groups and individuals to form and run their non-profit organizations and boards. Frances is addicted to helping and counseling people, and fighting for their cause. No wonder the passion for humanitarian works. She loves to travel, meet people, read, teach, share new information, etc. Her ultimate goal is to ensure that everyone is given the opportunity to reach their full potential, regardless of age, gender, race, beliefs, and so on. Frances is a Christian and not ashamed to declare that Jesus Christ is her personal LORD and SAVIOR, and that she is saved by grace. At every opportunity, she is ever ready to share her faith with people because of the love Christ Jesus her LORD has shed in her heart, thereby empowering her to love everyone too just as she is loved by HIM. Ms. Nidika is an Ambassador for peace with the Universal Peace Federation (UPF), USA.